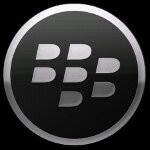 BlackBerry users have had to deal with a lot of frustration over the last few days but as of now the BlackBerry services such as BBM and e-mail have indeed returned, hopefully for good. RIM has certainly had to face a lot of scrutiny since their BlackBerry services went out in several regions around the globe yesterday. Just this afternoon it seemed as though the outages were beginning to spread to North America. RIM held a press conference stating that there was no ETA on the restoration of BlackBerry services and that the outages were not due to a hack of any sort. For now at least, these services have been restored. However, devices on the EMEIA networks in Europe, India, Africa, Latin America and the Middle East are still not able to browse the web. This is due to support teams monitoring service stability in order to determine when the service can be brought back online safely. Hopefully it will not be too long before every BlackBerry service is restored around the globe. Let’s just hope that this time the fix is permanent. apparently Enterprise Users seem to think so. because they were didn't know that andoir, iphone, nokia could do better than bb. On a side note, this whole drama is could only happened to bb that stupid enough to redirect everying to their server. With nokia, andoird, ipone you won't ever lose the ability to internet (web browse) at all. and what's for?? for encrypting a teenager chat about how cool the boy sit in the corner?? or for encrypting a chat about how cute the girl next door??? the point here is... BB AOL-like infrastructure is as fragile as an egg. and it's need to evolve using ordinary GPRS/3G instead of specialized stupid bb services. The services in india are restored since mid night...everything seems to workin smoothly jus like before & about ditching blackberry...its next to impossible for a guy like ME, who is constantly in touch with his boss!! you can tell you boss to change to nokia, iphone, android and use whats app. i really hope this whole drama could open their eyes.